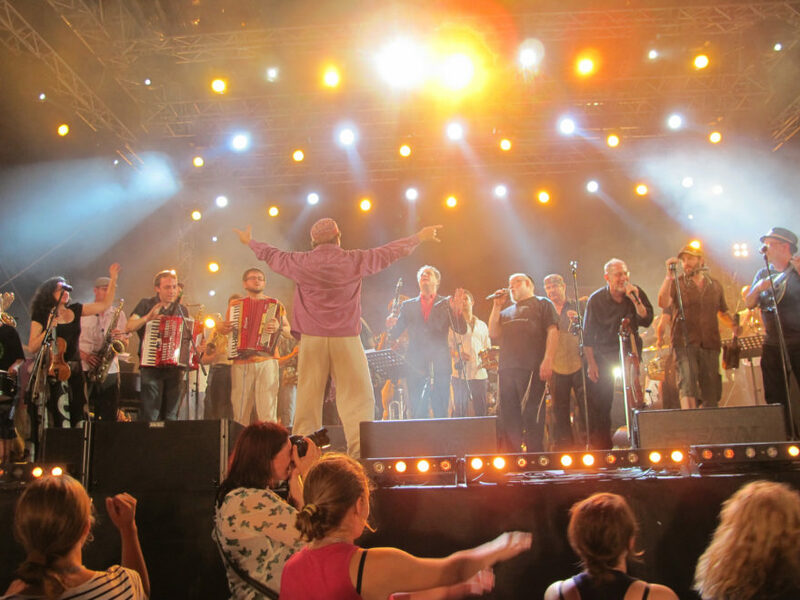 (JTA) — Hungary’s government awarded a state honor to Frank London, a prominent American-Jewish musician and a founder of The Klezmatics klezmer band. London, a composer and trumpeter whose band in 2007 won the Grammy Award for Best Contemporary World Music, received the Order of Merit award last week at a reception from Reka Szemerkenyi, the Hungarian ambassador to Washington, the news agency MTI reported. His decoration is of the Knight of Cross, the lowest of six civilian classes making up the order. A regular guest at Hungarian music festivals since the 1980s, London who is intimately familiar with Hungary’s music scene. The musician, who is in his late 50s, won the honor partly for his leading role in the Glass House Project, involving five American and three Hungarian musicians, which was launched as part of the Hungarian Holocaust Memorial Year in 2014. “I was greatly inspired by Hungarian music and very impressed by the rich cultural life of Budapest, the unique musical traditions of rural Hungary and generally the complexity of Hungarian music,” London was quoted by MTI as saying. In recent years, Hungary has come under international criticism, including by U.S. politicians, over issues connected to its commemoration of the Holocaust and efforts seen as minimizing Hungarian complicity during the Holocaust.